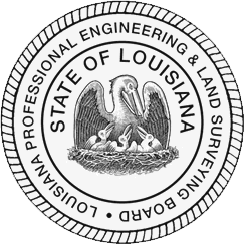 The Laws and the Rules of the Board constitute the regulations governing the practice of engineering and land surveying in the State of Louisiana by any individual or firm. The laws of the Board are contained in Louisiana Revised Statutes 37:681 through 37:703, which we commonly refer to as "the Licensure Law" or "the Law". These statutes are enacted by the Louisiana Legislature and can be amended only by the Legislature. The laws of the Board are supplemented by rules embodied in Louisiana Administrative Code, Title 46, Part LXI, which we commonly refer to as "the Rules of the Board" or "the Rules".